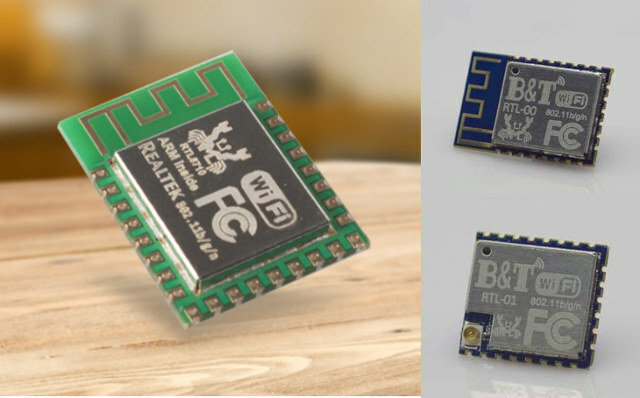 ESP8266 WiFi modules initially stormed the maker market for IoT applications thanks to their low price, and later it became the dominant WiFi IoT platform for hobbyists thanks to its large community of developers. But technology progresses over time, and it’s always fun to look out for new solutions, and Realtek RTL8710 could prove to be an interesting alternative with its ARM Cortex-M3 processor @ 166 MHz, a little more user memory (48KB), audio support, faster WiFi performance, while still keeping a low price, as modules can be purchased for $3.90 on ICS station, a little more on eBay, and as low as $1.95 per unit on Aliexpress including shipping if you purchase 100 pieces or more. A Chinese website as a side-by-side comparison between Realtek RTL8710 and Espressif ESP8266, which I also found translated into English. The processor is said to run FreeRTOS operating systems, which happens to be the one also used in Espressif ESP8266 and ESP32 SDKs. Boantong also provides a development board integrating their RTL-00 module with PCB antenna for $14 + shipping. Debugging and programming can be done through the micro USB port using CMSIS DAP or JLINK. I’ve not been able to find RTL8710 SDK yet, but there does seem to be a dedicated support forum (in Chinese only). So at this stage RTL8710 is clearly not for everyone yet, but if you are interested in using or evaluating RTL8710 modules in commercial projects, you may want to check out “Boantong IoT Business Department“. Via Bird on SMEoT Facebook Group. if your are looking for english official support forum, i think it’s here http://www.amebaiot.com . it is RTL8195though. but i think it’s totally compaatible. I’d love to know if these modules have USB device capability as part of their ARM core. Opens up such possibilities! Now only if this gets integrated into the Arduino UI . . . 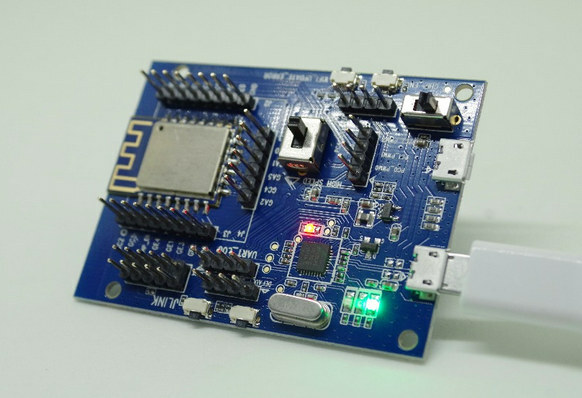 There are also the AI6060H, who claim to be better than the ESP8266. Can you add ESP32 to the comparison chart? Even if ESP32 is not available yet it would still be interesting to compare the spec. I have this comparison table between ESP32 and ESP8266 -> http://www.cnx-software.com/2016/03/25/esp8266-and-esp32-differences-in-one-single-table/, but some rows are missing to add ESP32 to the table above, and some are not comparable (e.g. RAM available to user vs total RAM). It’s unclear how it’s better than ESP8266 though. Yes there are more parts in this device family that have USB. FYR. IRC channel #rtl8710 has been created. There is a real English forum online http://www.rtl8710forum.com. I hope this will become a nice community with lot’s of information about the chip. That’s the ameba SDK, is it for RTL8710 or RTL8185? The baidu link only points to a “software bundle” including (a most certainly pirated version of) IAR and some other (also pirated?) tools (JLink server?, serial console?). There is not a single .c source file in the .zip file. Unfortunately this is completely useless. The first google drive link points to the “official” ameba sdk for their dev board (RTL8195A) and I think it won’t do anything with a RTL8710 although there are a few “#if defined CONFIG_PLATFORM_8711B” here and there but the big part, that I would expect in “/component/soc/realtek/8710”, is (unfortunately) missing. I finally got access to the second Google Drive link, and that’s basically the same as the Baidu link. Hi, daan. thanks for you work. This comment is from official. I will forward your forum to other Ameba (rtl8195AM, rtl8711AM, rtl8711AF and rtl8710AF) users. RTL8710 appears to be limited to 83MHz, and lacks PCM interface. A better comparison would be the ESP8285 which is the successor to the ESP8266, the ESP32 is a bigger and more expensive chip for a different class of product. It is true that in the past 4 years, the ESP8266 is the most popular Wifi solution for Makers, the good spec and cheap price make the competitors, such as RTL8710, hard to grow up.